The Blastrac 1-5HH is the only handheld shot blaster of our portfolio but still it is efficient, cost effective & time saving on steel or concrete. It’s a versatile hand tool, perfect to work on small or hard to get to areas such as edges and corners. This shot blaster can be used with the range of Blastrac steel shot and steel grit in order to get the surface profile you need. 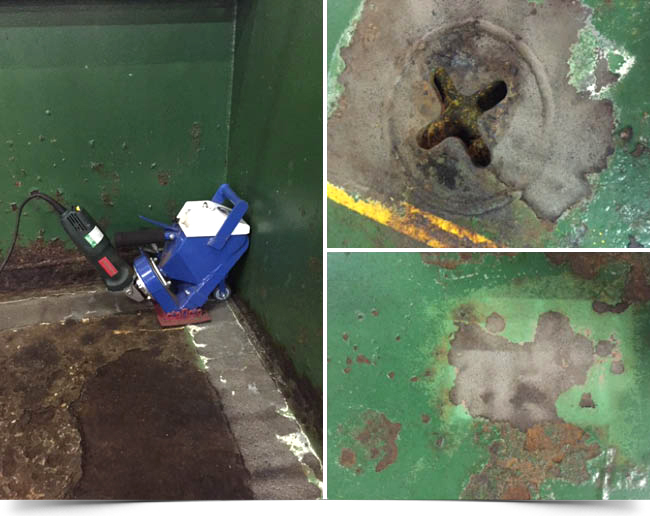 We would like to thank our valuable customer and we hope the 1-5HH Blastrac shot blaster will be an universal solution to descale hardly accessible steel surfaces.